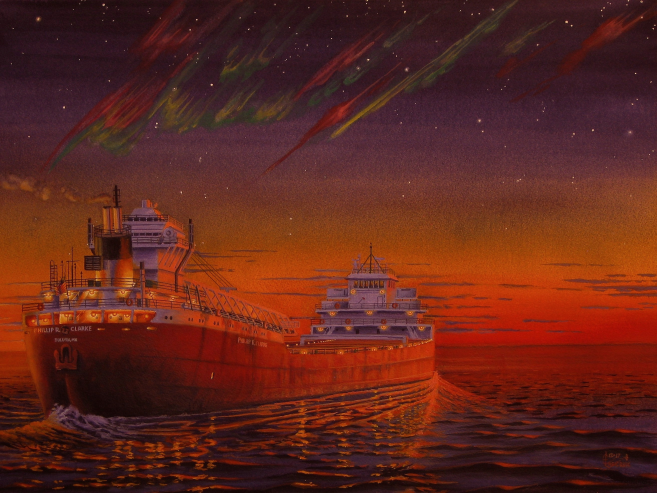 Just after 6:30 a.m. on May 2, 2003 off Rice’s Point in Duluth, MN, the massive 1000’ long M/V Oglebay Norton is reversing both main engines to slow its forward motion and the captain is working the bow thruster, ‘turning to port’ or turning the bow to the left. 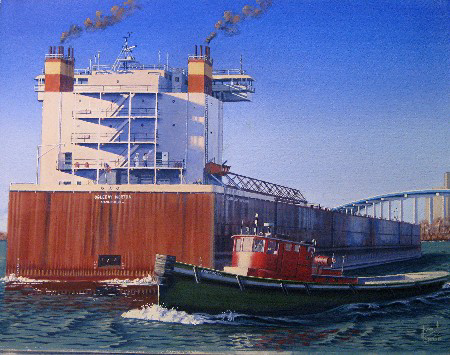 After the vessel has turned to the portside far enough, the captain will back under the center span of the Blatnik Interstate Bridge and then over to the Superior Midwest Energy Terminal in Superior, WI to load low sulfur western coal . As the tug Kentucky passes to the Norton’s stern, a crewmember at the Norton’s stern on the main deck radios the captain in the pilothouse that the tug has now safely cleared the turning vessel. The Kentucky had been assisting a foreign freighter at the Harvest States Grain Terminal in Superior and is now headed back to the Great Lakes Towing Dock in Duluth. Witnessing the whole event are one of the cooks and another crewmember who have taken a smoke break outside the Norton's galley on the 2nd deck.